What are students saying about Preparing for Work? PALLAVI: this is the best class I ever took! I learned so much and made great friends. I want it to last forever. I know I need to focus on the job I really want. 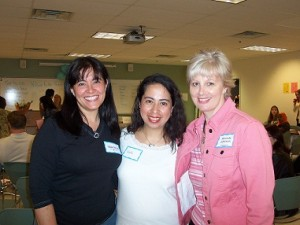 DORIS: this class helped me to speak more clearly and helped me to find volunteer work in a school in Bellevue. I have the orientation next week. This will help with my goal to find a job in social work. OVIDIU: the interview practice made me see that I need to focus my answers to questions. I also perfected my resume and cover letter, made it more professional and business-like. My goal is to find a job as an Architect. WING: I had two interviews and this class helped me to prepare better for them. I work now, but I want to find a better job and keep improving. I made two resumes that are really great. ANNA: when I came here, I would not speak. I thought everyone was better than me, but now, I am happy to talk and I feel more confident. I found an intern position in a legal office and will work there to gain experience of the culture, law and Language. ADRIANA: this has been so good for me. I have interviewed at Microsoft and Ford. I met a great volunteer interviewer who gave me good advice. I also have helped to market the class and do some administration work for the program. I really am anxious to find a job in Data Management. The teacher is helping me to network with many people. JIN: this class was great. I got confident and learned how to network. I found a job through my husband! I never thought to ask him before, but now I work in Purchasing at his company. The interview practice was great. I want to keep learning and improving. SEONJU: this class gave me the idea to volunteer in a middle school, teaching math. I was a teacher before and I feel confident to begin volunteering.